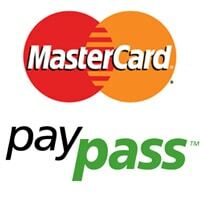 Inside Secure‘s Mobile MasterCard PayPass M/Chip 4 payment applet has received MasterCard‘s Cast and Functional certification when credentials are stored on the chip specialist’s SecuRead embedded NFC module or VaultSecure secure element. Functional certification confirms that the application works in accordance with MasterCard’s specifications, while Cast — the compliance assessment and security testing program — verifies the security of the whole secure element, operating system and applet package. The MasterCard applet is the first in a planned family of certified branded applets, says Inside Secure, and “is part of the company’s ongoing development effort to offer a comprehensive suite of pre-tested or certified branded payment, access control and banking applets. “In addition to the Mobile MasterCard PayPass M/Chip 4 payment applet, Inside plans to support the Visa Mobile Payment Applet, First Data CertiFlash Mobile and the SecureKey Authentication Applet.” Inside now also offers a range of NFC enablement applets for EMV, ID, couponing, gift and loyalty cards, closed loop payments, Cipurse and other transportation ticketing applications.